Discover the world in one day - and all under one roof! Hebridean's Business Development Manager, Hannah Cockell, will be on hand to showcase everything Hebridean and provide answers to any questions you may have about Hebridean Princess, as well as our European river cruises programme on board Royal Crown. In addition, you will be able to explore the endless holiday options on show and plan your next trip face-to-face with travel experts. There will be exclusive show-only specials and trip giveaways. Sunday, 10th March 2019 between 11am and 4pm. 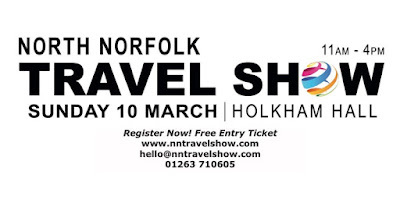 Should you wish to attend please register using the following link www.nntravelshow.com and enter 'Hebridean' under 'Where did you hear about the show'.